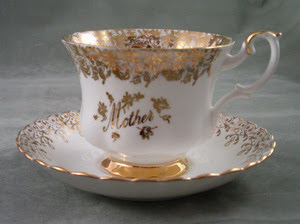 Mom had a few teacups and mugs with "Mother" or "Mom" on them. 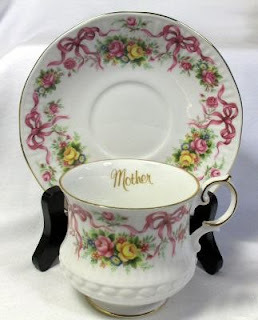 I guess it was a popular gift for us kids to give her on her birthday or Mother's Day. I am almost sure she had these two although I can't remember the exact designs after all these years. Posted by Karen at 1:57 p.m.